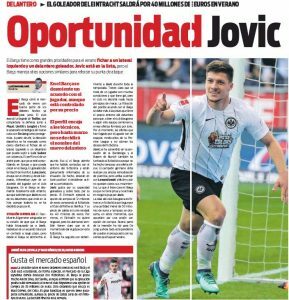 On Monday, Frankfurter Allgemeine in Germany apparently reported Eintracht Frankfurt’s Luka Jović has reached an agreement with Barcelona and only a deal needs to be agreed between the two clubs. The striker is on the front page of today’s edition of Catalan newspapers Mundo Deportivo and Sport and both claim sources close to the La Liga winners have denied there has been an agreement between the two parties. Jović has scored 19 goals in all competitions for the Bundesliga outfit, which includes 14 goals in the league and the two reports suggest that he is on the list of targets for the Spanish champions. 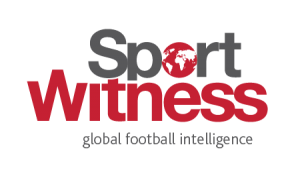 The report from Frankfurter Allgemeine could be to provoke an auction for the player, for whom there has been contact from Barcelona. 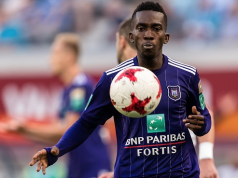 He joined the Bundesliga outfit on a two-year loan deal from Benfica in 2017 and Eintracht Frankfurt have the option to make his transfer permanent for €12m. They are intending to activate the clause so they can then do business by selling the Serbian who is valued between €35m and €40m. Despite having followed Jović for the entire season, the Spanish champions are also looking at other options as it is a priority for them to strengthen the strike force in the summer. Their idea is to bring in a player who can develop along with Luis Suarez and later replace him to become the main man to lead Barcelona’s attack. 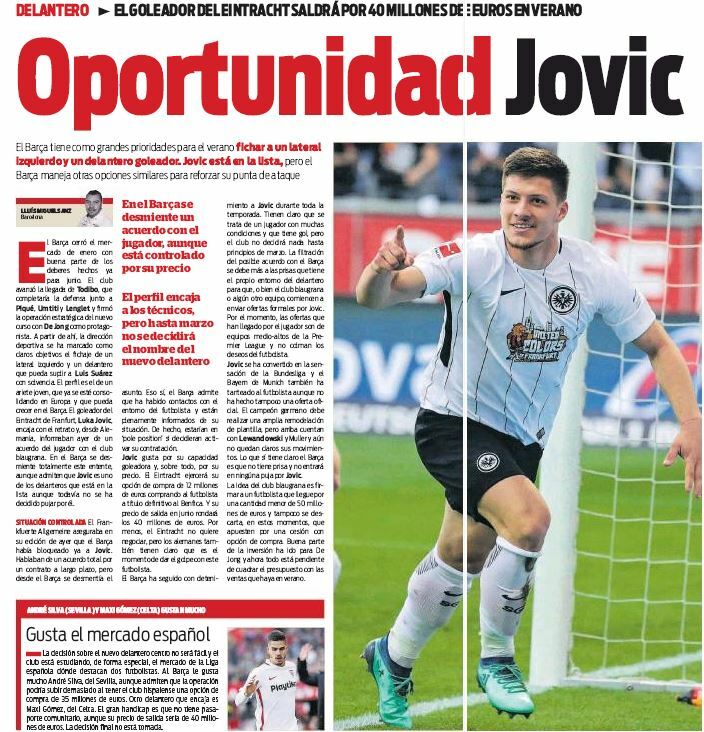 Sport mentions that Barcelona will not decide on Jović until March because they are clear that they don’t want to enter into a bidding war for the player.